We recently completed a project collaboration with Athens Church located in Athens, Georgia. 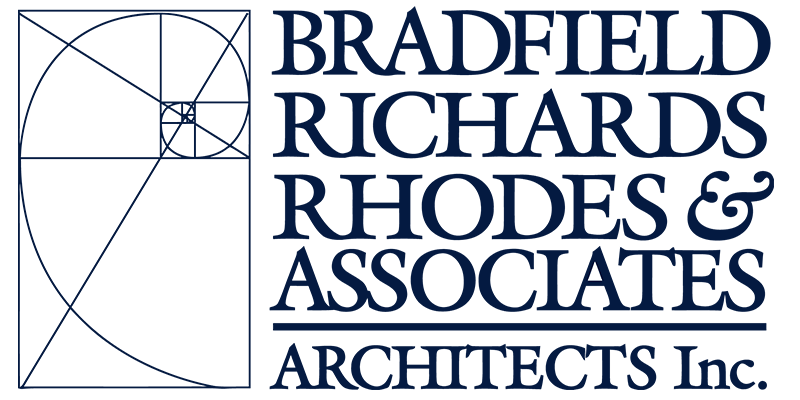 During a three year planning period, Bradfield, Richards, Rhodes & Associates Architects Inc. worked with the Athens Church team and Equip Studio of Greenville, SC to master plan, redesign, and rebuild a dilapidated strip mall while using some fun, re-purposed items along the way. The new design ensures flexibility of current space and prepares the church for their inevitable future growth. A strip mall, that included an abandoned Walmart, was initially purchased by the church with hopes of expanding their ministry in subsequent phases. 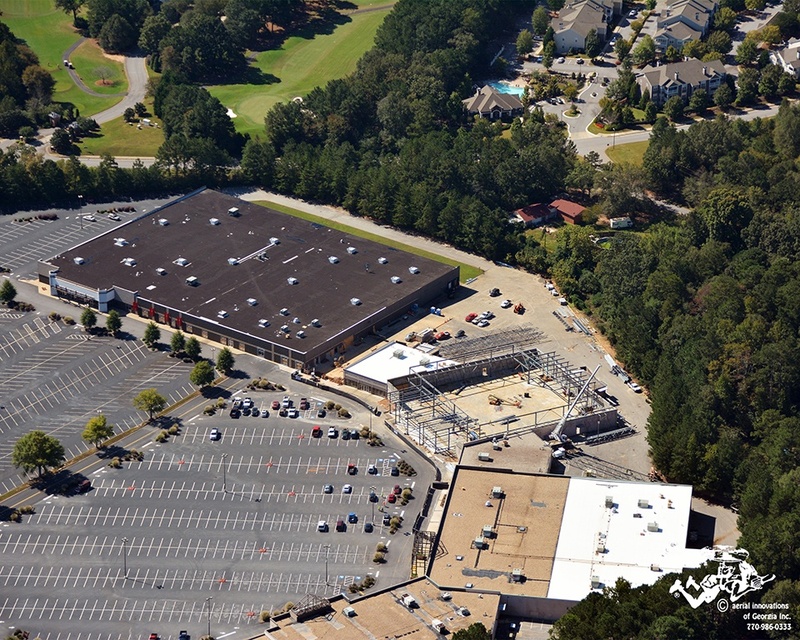 The Walmart space was initially transformed into a 1,300-seat auditorium, along with classrooms for nursery, pre-school, elementary ages, middle school, and adults. After its first opening, the church continued to grow and needed much more room to expand. 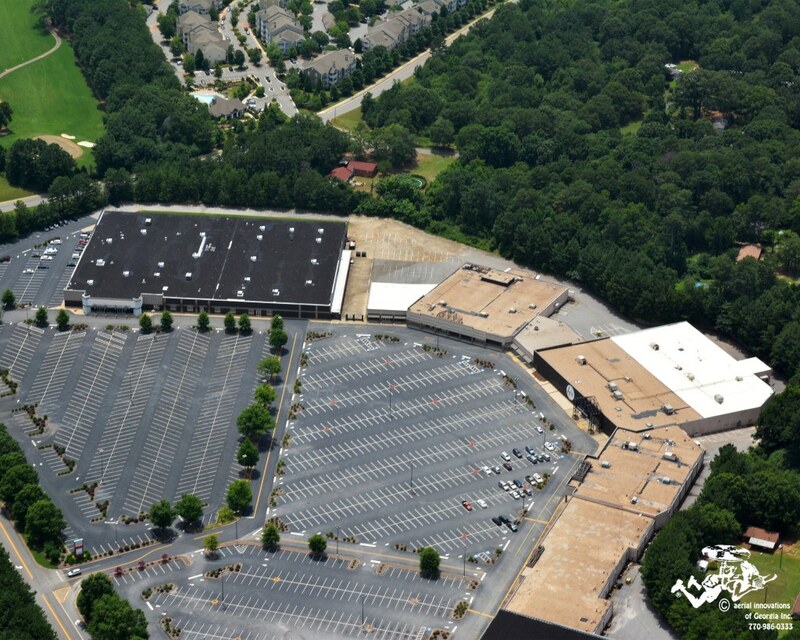 By 2014, the church was fortunately able to purchase the rest of the strip mall giving them over 300,000 square feet and a highly visible site to master plan. The church’s concept of renovating an existing structure rather than building from the ground up proved to be a very wise and discerning move. Through re-purposing and reclaiming existing building structure, while removing existing separation walls, this concept became the cornerstone of a 310,000 square foot planning project. There were numerous obstacles to overcome with an older structure such as roof leaks, low ceilings, partitions from individual retail stores, and the grime left behind by dining areas and storage rooms. At first, it was extremely difficult to visualize a new, inviting church in these decrepit spaces. The most significant design hurdle was the church’s intent to situate a new 2200-seat auditorium in the middle of the campus. To ensure that the space could accommodate both the desired height and the high-tech equipment needed for performances, the space had to be free of columns and dividers, and it had to structurally support lighting and rigging from the ceiling. This necessitated removing the roof of the future auditorium space and raising it to provide sufficient height and structural capacity in the auditorium. Planning the new space meant accommodating classrooms for children at all grade levels. The children’s spaces were divided into four distinct and secure areas with sound and visual separation, yet with simple way-finding. One of the most inventive ideas for creating space and boundaries was employed for Middle Schoolers – we located old metal shipping containers, and then re-purposed them into classrooms for the teens. Strategically stacking them, cutting them, and installing lights, HVAC and furnishings was a formidable task, but seeing the teen’s thoroughly embrace their new space was well worth the effort. The result of this multi-year planning and creative effort was the receipt of the Solomon Award acknowledging design, re-purposing of an old structure, and the reuse of traditional materials in non-traditional ways. We are happy to have received the Solomon award on behalf of Athens Church, and we wish to recognize the entire design team including Sandy Gibbs of Equip Studio who collaborated with the team during the critical stages of master planning, space planning and façade design. We further wish to recognize Kristin Butler who was tasked with interior design and genuinely made these spaces come alive. This award was a truly a team effort. Previous PostGwinnett Church Transit Building Coming Soon!